Paid Park Attendant Contractor Positions Still Open! 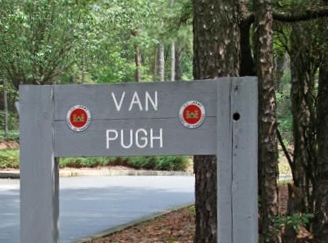 Our pals with the US Army Corps of Engineers (USACE) are still looking to fill paid Park Attendant Contractor positions for campgrounds on Lake Lanier for the summer of 2019. The application process is a bit awkward, in my humble opinion. Candidates are supposed to tell the USACE how much they want to be paid daily. Either enough qualified folks are asking for roughly $385/hour or unqualified candidates are asking for $5/day. The USACE contact info is listed below. They’ll help you figure it out. A Park Attendant Contractor is the person who unlocks the gates in the morning and locks them up again at night. You might have to tell people “No” if they want to cut down trees, ride their ATVs all night or chop up a pavilion for firewood. You’ll certainly have to answer the same questions every day with courtesy, even if you’d rather chew rocks than tell someone — for the hundredth time — you can’t leave the gate open all night, even if they’re expecting friends who might be late. You’re absolutely correct that the park attendants open/close the gates day and night, answer the public’s questions on all manners of topics, and let people know what they can/can’t do. Enforcing the rules is the Ranger’s job — attendants just let them know [the rules]. While some physical fitness is wanted, it’s not a labor-intensive job. The attendants check-in/check-out campers and process any payments, such as if somebody walks up and wants a campsite without a reservation. This requires some computer work, but the Corps trains all contractors prior to the start of the season. These positions must be filled using a bid process. All bids must be received by 4:30 pm, December 14, 2018 to be considered. Interested persons, if chosen, will be required to obtain a background check, insurance, and a bond. These positions are open only to two (2) person teams, no single individuals permitted. 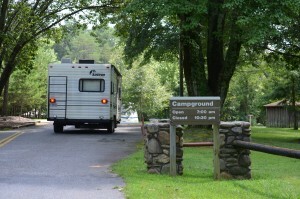 All Park Attendants must be able to live onsite in a self-contained factory built camper. You may call 770-945-9531 to speak with Ranger Barnes.